On behalf of entire team at Dallas Fort Worth International Airport, I wish you a warm welcome to the 2017 ACI-NA Annual Conference & Exhibition. DFW Airport is proud to serve as the host and sponsor for the ACI-NA Annual Conference, welcoming delegates from over 200 airports across North America as they come to network, share best practices and collaborate on common goals. Over the next couple of days, attendees will have access to a wide range of seminars, educational sessions, exhibitions and technologies to help keep pace with our fast moving industry. Whether it’s sustainability, customer service, airfield infrastructure or implementing new safety and security measures, there is a lot we can learn from each other through open dialogue and shared experiences. 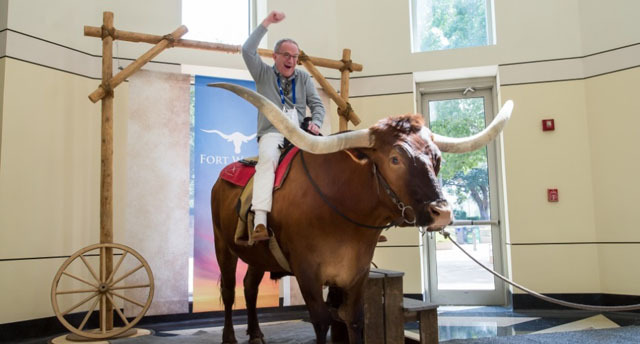 As this conference takes off, we’re confident you will experience a great helping of our world-renowned Texas hospitality, which is readily available everywhere you go. Thank you for joining us and enjoy the conference! 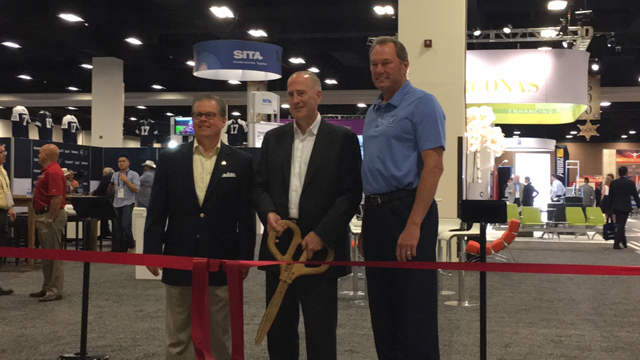 The grand opening of the 2017 ACI-NA Annual Conference and Exhibition hall made for a great opportunity to catch up with old friends and make new connections! 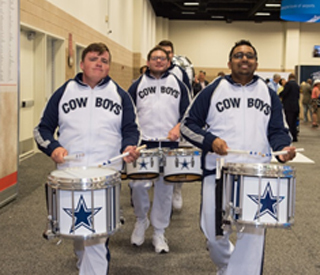 A merry band of drummers decked out in Dallas Cowboys attire had attendees marching to their beat! The ACI-NA pre-conference committee meetings and workshops came to a close yesterday with great participation and high energy! Guess what came to visit? A longhorn stopped by the ACI-NA Annual Conference and Exhibition yesterday for a photo shoot sponsored by TransSolutions. Can y'all tell attendees were excited? Award-winning entrepreneur-turned-publisher, columnist, author and television commentator Rich Karlgaard will provide his unique insights on the economic and investment trends driving the global business marketplace and how the future of travel fits into the big picture. Shifting traveler profiles and expectations for more connected experiences, often set across industries, is raising the bar throughout the travel journey. Advances in technology-- e.g. Artificial Intelligence, Cognitive Services, Internet of Things (IoT), Blockchain, and Virtual/Mixed Reality—are opening up a tremendous opportunity to drive revenue, lower operating costs, increase efficiencies, empower employees and create new business models in ways we only talked about in the past. The future is already here. Learn how these and other technologies can help you better address customer and business needs to transform the customer journey and drive business results. Learn how to approach these disruptive opportunities in flexible ways to "future proof" yourself. Make the most of your ACI-NA Conference experience by downloading the ACI-NA Conferences app on your smartphone or tablet. 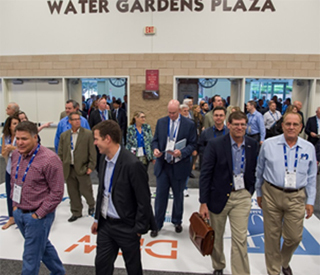 Sponsored by CH2M, the ACI-NA Conferences app lets you search the participant list, connect with attendees, customize your agenda, and much more! Get the app now by searching "ACI-NA Conferences" in the App Store or Google Play. Check out the full 2017 ACI-NA Annual Conference and Exhibition agenda here. The Changing World of Slots and What It Means for Airports: 300 airports around the world are designated as constrained with two levels of management –facilitated coordination and outright slot control. Whether your airport is a small-hub or the largest hub, access to facilitated or slot-controlled airports is a key issue for domestic and international air service. Historically, the International Air Transport Association (IATA) has controlled the seasonal slot allocation process using its Worldwide Slot Guidelines (WSG). ACI is now working to bring change to the slot process and the management of slot allocation. Join this session to learn the latest updates on the WSG Strategic Review and its implications for U.S. and Canadian airport operators. Risk Management: Planning Before a Crisis Occurs: Crisis management is a hot topic for airports, but often it only relates to managing crisis communications or maintaining or restoring operations. What about the other aspects of crisis management? This panel will explore various risks that aren’t necessarily at the forefront of planning—such as legal/liability and reputational impacts. What contracts can you put in place before an event occurs, and what insurance coverage and services can help you respond to a crisis? Airport Capital Program Showcase: The last several years have been exciting for planning and development of North American airports featuring innovative terminal, airside, and landside projects at airports of all sizes. Whether these projects have focused on the rehabilitation and re-lifeing existing infrastructure or providing entirely new facilities, there are lessons to be learned from these capital projects. Cyber Resilience: Safeguarding the Airport: Cyber threats are a complex and ever present risk in today’s operating environment. No one is completely safe from cyber attacks, including airports. Desktop computers, servers, and network devices are not the only vulnerable technologies, as cyber attacks come in many different forms. Every airport should have a cybersecurity program as an executive management goal to protect against risks to physical infrastructure, digital assets, and brand reputation. Community Outreach Programs; Make Your Airport an Inclusive Representative of its Community: In this session learn about alternative talent pools that can help make your airport a hero in your community! 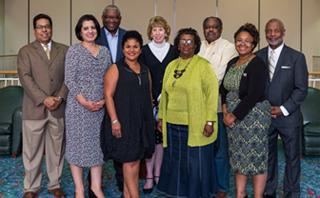 Partnering with local and national partners, airport operators are establishing programs that support workforce development and promote a healthy community. Don’t miss this opportunity to hear about unique programs that provide underserved communities in the United States and Canada with needed resources while benefiting airport operators, airlines and concessionaires. 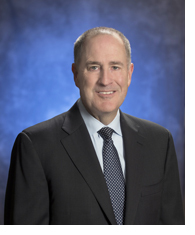 Sustainability’s Competitive Edge – How Sustainability Strengthens the Airport-Airline Partnership: Mutual success requires that airports and airlines work together towards sustainability. 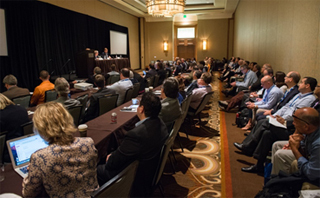 Learn the secrets for an effective partnership from airport CEOs and airline representatives that are working together, using the multiple facets of sustainability (economic viability, operational efficiency, natural resource conservation and social responsibility or EONS). Don’t miss this opportunity to identify the areas where your airport and airlines can better coordinate to achieve sustainability goals, including bringing bio fuels on-line, electrification of ground support equipment and obtaining better operating results at lower costs. The latest issue of Centerlines, ACI-NA’s flagship magazine, is here! 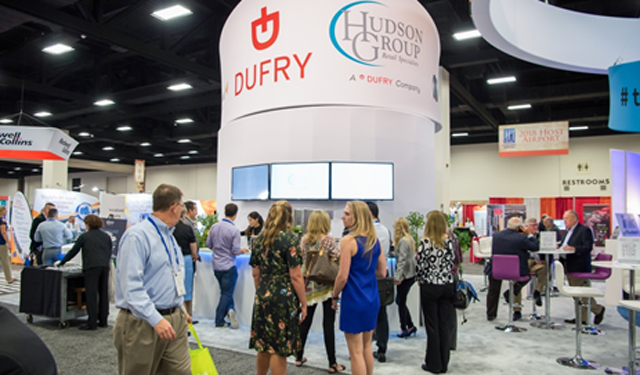 Each topic and article was carefully selected to position 2017 annual conference attendees ahead of the curve. Read the articles below or stop by registration to pick up a copy! A Brand-New Energy—A Look at the Industry’s Emerging Leaders: ACI-NA profiled 20 first time airport directors who have assumed their roles within the last three years. Explore how their new ways of approaching industry challenges are paving new paths forward for the next generation of airport industry leaders. Post-Crisis Transformations: Through collaboration, risk-based approaches, and reliance on credible intelligence, airports continue to ensure that the safety and security of the traveling public remains their top priority, while facing new global threats to aviation security. Energy, Efficiency and Sustainability Working Together: Airports are taking new approaches to longstanding sustainability priorities, and leveraging airport resources to contribute to the success of their communities. Learn how airports are tackling sustainability to improve airport operations. 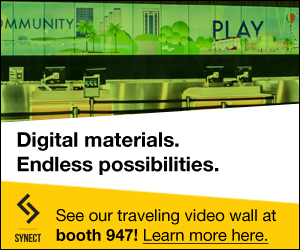 Airports Cater to Great Expectations: Explore how airports are developing new and innovative approaches to airport passenger amenities, while continually working with their concessionaire partners to enhance the passenger experience and strengthen the bottom line.